US 301 converted to a toll road in Delaware on January 10, 2019. Construction of the new toll road was completed relatively quickly through 2017 and 2018. The roadway is designed to provide a quick transit for people traveling the US 301/SR 1 corridor to I-95, without having to drive through the heart of Middletown to reach State Route 1. Tolls on US 301 are all-electronic, meaning travelers with an E-ZPass or compatible transponder will be able to use the roadway in the same manner as other toll roads. Travelers without a toll pass will be billed the cash rate, with the toll invoice being sent to the registered owner of the vehicle. ► Starting exit and Mile Marker: Delaware/Maryland State Line at Mile Marker 0, in Cecilton. ► Ending exit and Mile Marker: State Route 1 - SB On/NB Off at Mile Marker 11.6, in St Georges. 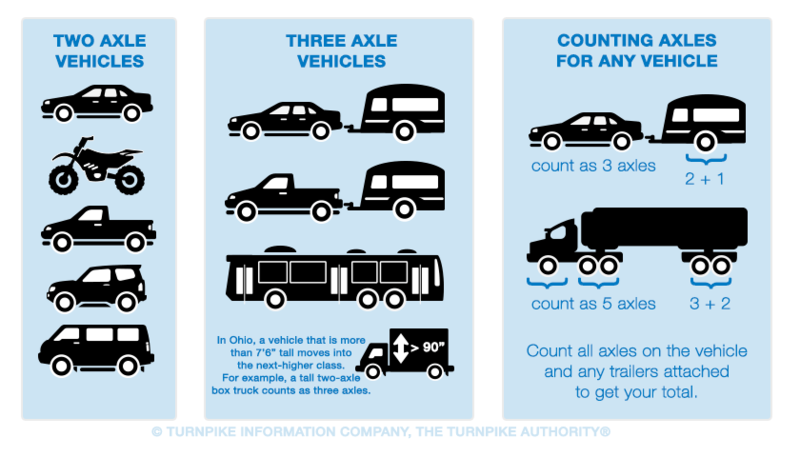 Tolls on the US 301 are calculated based on the number of axles for your vehicle. When counting axles, make certain to count the axles with wheels on the ground, including any axles on trailers you may be towing.